A 23-year-old senior airman was killed when he tried to stop an armed robbery, police said. Shawn McKeough, who was from Maine, was at an Arkansas gas station Friday night when two armed men entered the convenience store in an attempt to rob it, authorities said. McKeough was fatally shot when he tried to stop them. In a video shared by police, the two men can be seen gun in hands as they covered their faces with hoodies and hats inside of the store. 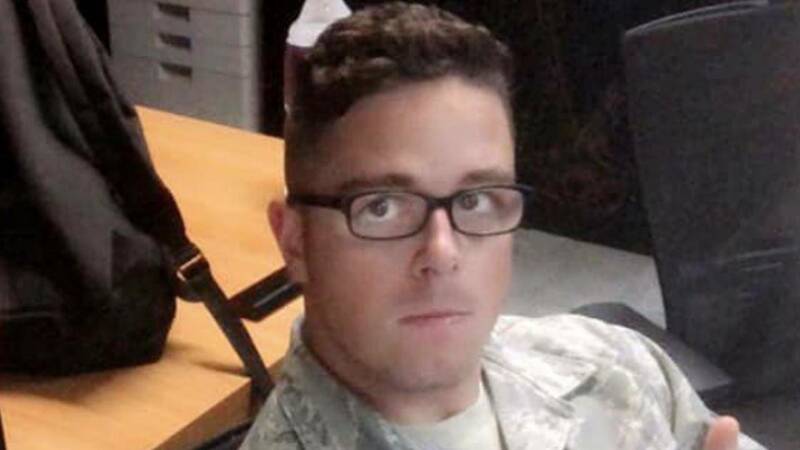 Police said McKeough was on active duty and stationed at the Little Rock Air Force Base. McKeough’s friends took to social media to remember their friend, known for always helping others. "It's just overwhelmingly emotional, especially when you involve a member of our armed services, someone who has stepped up and made the decision to defend their nation and take on that role," Sgt. Amy Cooper of the North Little Rock Police Department told NewsCenter Maine. "And to deal with the tragic death of a member such as Shawn Mckeough has just been difficult." Police are offering a $10,000 reward for any information leading to the arrests of suspects in the case.